Anarchy is a school of thought that advocates stateless societies based on voluntary associations. There are lots of sub-types of anarchism. In fact, you could almost define it by its differences as much as its similarities. A partial list includes Anarcho-Feminism, Anarcho-Collectivism, Anarcho-Communism, Anarcho-Pacifist, Green Anarchism, Individualist Anarchism, and Social Anarchism. The ideology varies widely, with some forms of anarchism advocating violent revolution, some advocating pacifism, and still others advocating reform. The one thing all forms have in common is an antipathy toward the state. The men and women in this post were arrested and in some cases, executed, by the authorities, so it’s safe to assume most of them were on the more revolutionary side. Anarchism was rampant in the United States, France, Russia, and Italy at the turn of the century. 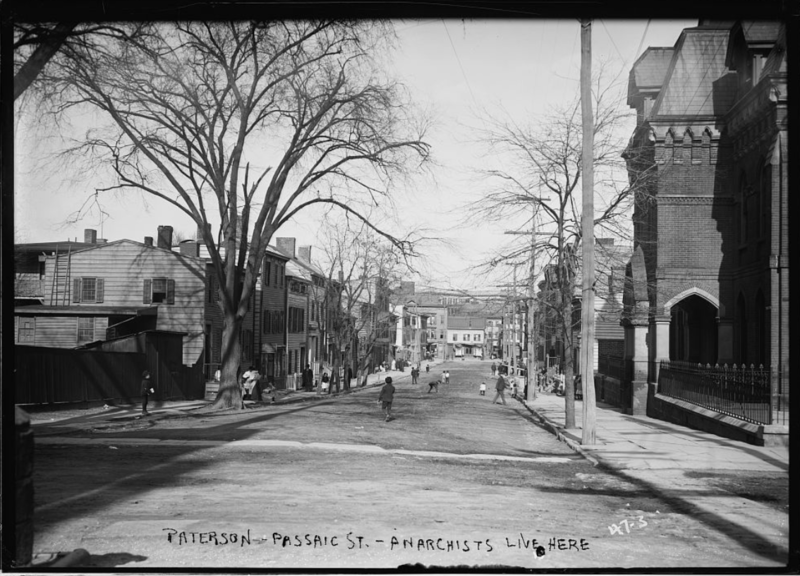 I recently researched Paterson, New Jersey, and learned the city was a hotbed of anarchism around 1900. Possibly it was the most well-known anarchist centers in the United States at the time. I noticed when I read about Paterson that many of the anarchists were very young. When I researched this post, I was surprised that the majority of the anarchists I could find info about were very young – and the men were often quite attractive! It’s an interesting commonality for people who are part of a political school of thought. 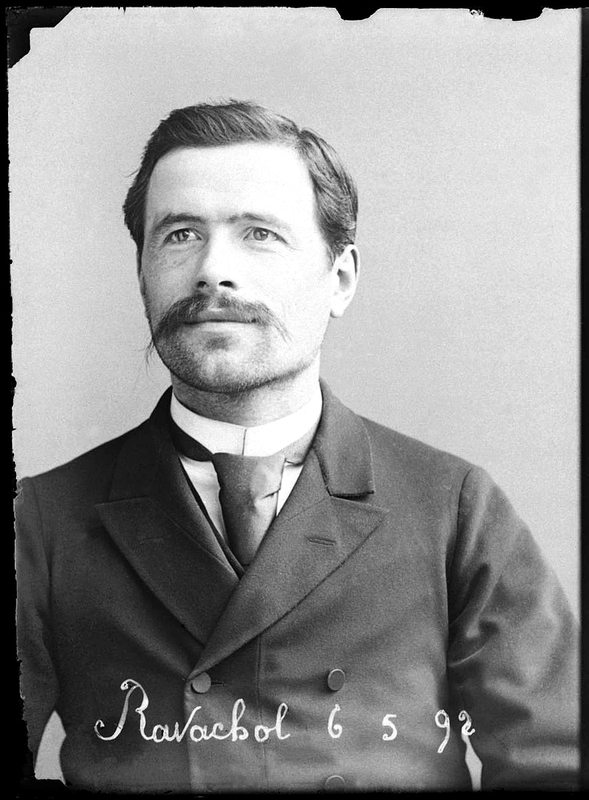 François Claudius Koenigstein, known as Ravachol, was a French anarchist. He was guillotined on July 11, 1892, after being twice found guilty of complicity in bombings. The mugshot of him was taken by Alphonse Bertillon, the father of the modern mug shot. 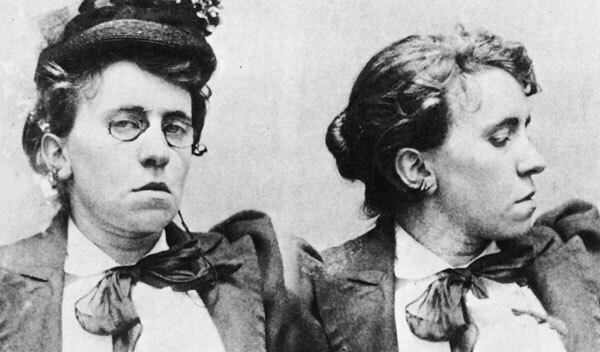 Emma Goldman is one of the most famous and easily recognizable anarchists. 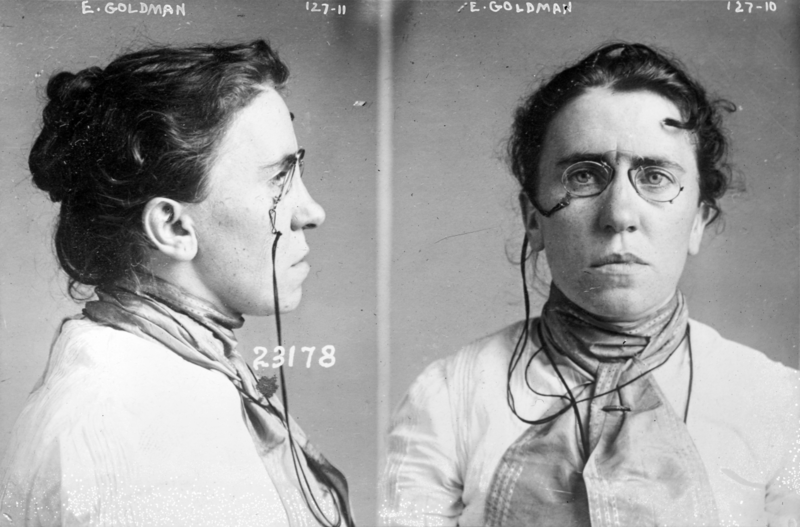 This mugshot, taken in 1893, was the first I could find of hers – though it wasn’t the last! 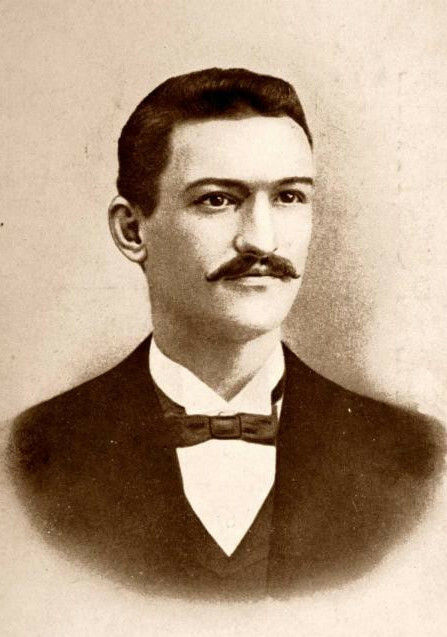 Goldman was born in 1869 in Lithuania. She grew up in Eastern Europe and Russia, and it was in St. Petersburg that she became a radical. In 1885 she immigrated to the US. She worked in textile factories in New York and Connecticut where anarchism was increasingly popular. This mugshot was taken in New York City in 1893 for inciting a riot when amongst a group of unemployed workers. 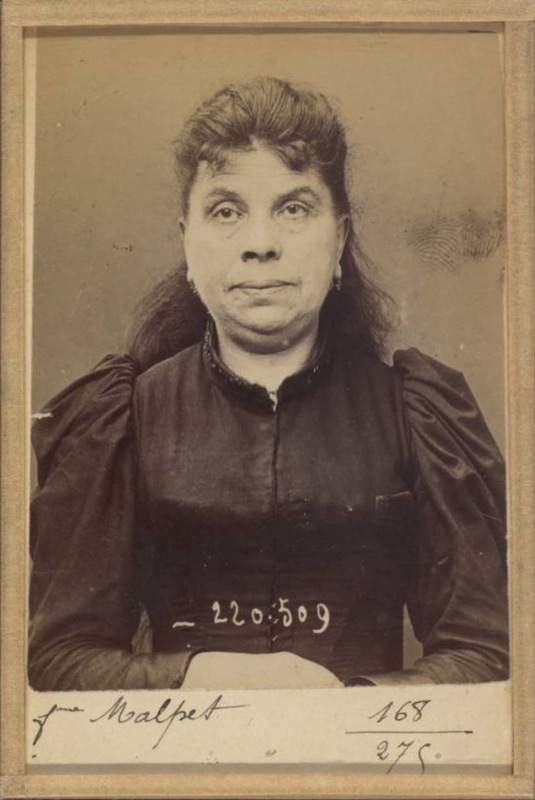 Jeanne Malpet was 51 years old when she was arrested in Paris in 1894. She was booked as an anarchist. I couldn’t find any additional info on Jeanne. 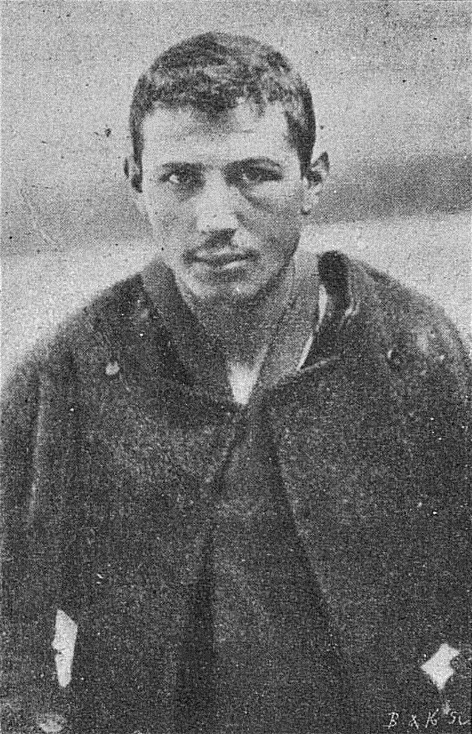 Émile Henry was a 22-year-old French anarchist, who detonated a bomb at the Café Terminus in the Parisian Gare Saint-Lazare February 1894. The attack killed one person and wounding twenty. Henry was arrested and his mug shot was taken. He was executed soon after by French authorities. 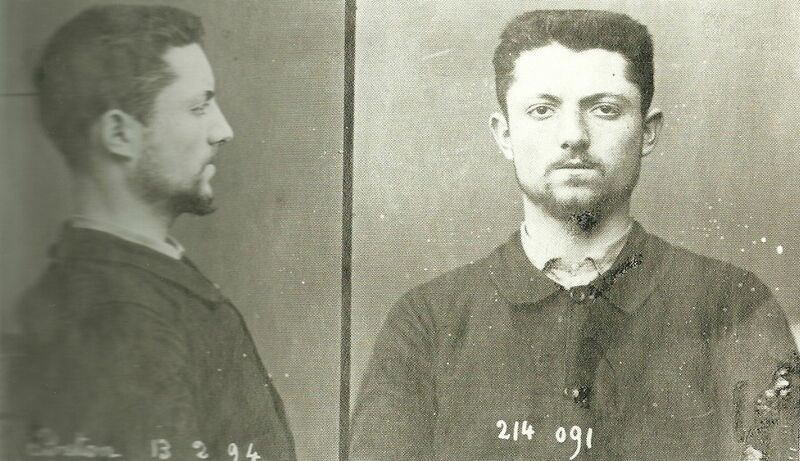 Sante Geronimo Caserio was a 21-year-old Italian anarchist who murdered Marie François Sadi Carnot, the President of the French Third Republic. Caserio was born in Motta Visconti, Lombardy. In June 1894, he fatally stabbed President Carnot after a banquet, with speculation that he killed Carnot to avenge Émile Henry. 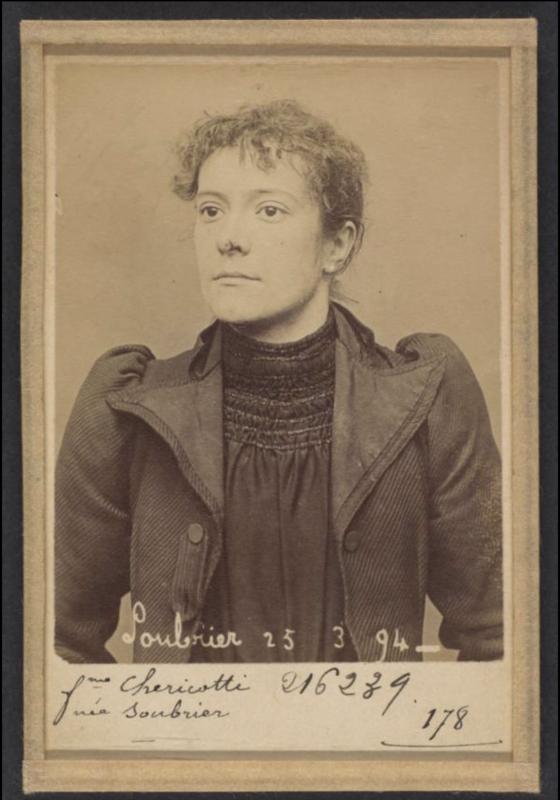 Annette Soubrier was 28 years old, when she was arrested in Paris, as an anarchist. I don’t have additional info about Annette. 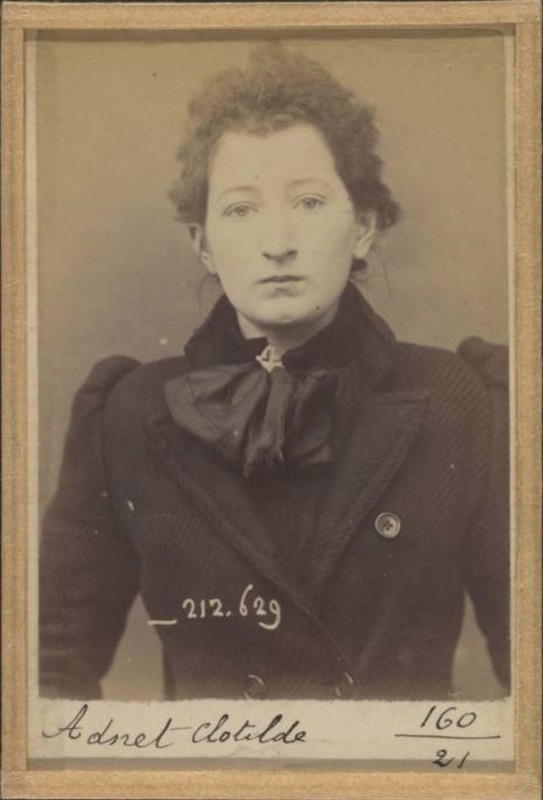 Clotilde Adnet was just 19 in 1895 when Paris police arrested her for being an anarchist. I don’t have additional info about Clotilde. Gaetano Bresci was an Italian immigrant, who lived and worked in Paterson, New Jersey. In 1900, he abruptly called in his debts and left town. His friends were resentful toward him until they heard that he had gone back to Italy and assassinated King Umberto in July of 1900. Bresci was immediately captured, and put on trial. He sentence called for him to be exiled to the island prison of Santo Stefano. He received a life sentence and wrote despairing letters to his wife. His sentence ended far earlier than anyone thought. He was found dead in his cell in May of 1901, under circumstances that were described as mysterious. Benito Mussolini started his life of crime early, when he stabbed a classmate at the age of 10. His philosophy continually “evolved” throughout his lifetime. In 1903, he was arrested for his advocacy of a violent strike. At the time, he was studying anarchists philosophers. Mussolini’s evolution moved through socialism, fascism, and, of course, he later evolved into a dictator. 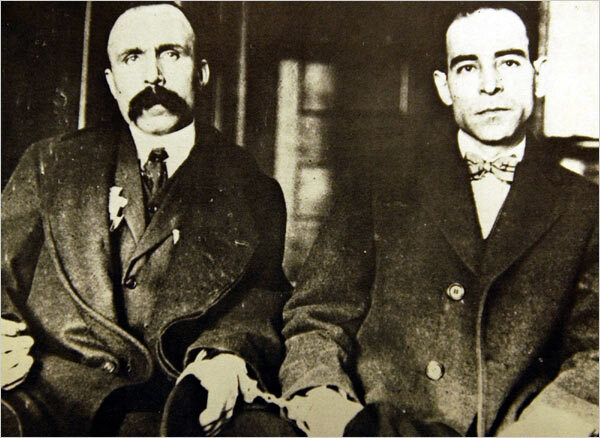 Nicola Sacco and Bartolomeo Vanzetti were Italian immigrants and anarchists who were convicted of murdering a guard and a paymaster during an armed robbery of the Slater and Morrill Shoe Company in April of 1920. The case is still called out as an example of the power of establishment politicians over the poor and politically troublesome populace. 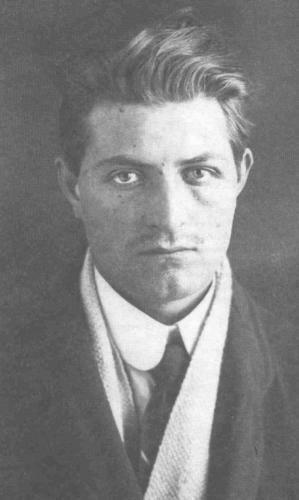 Severino Di Giovanni was born in Italy in 1901, and executed in Argentina in 1931. 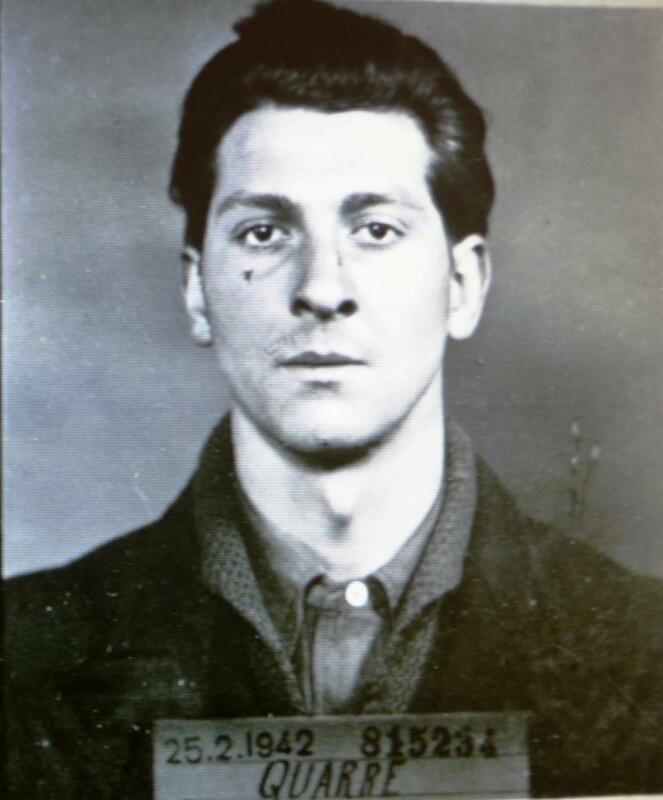 Di Giovanni became famous for the campaign of violence he waged in support of Sacco and Vanzetti. On 16 May 1926, several hours after Sacco and Vanzetti’s death sentence was announced, Di Giovanni bombed the U.S. embassy in Buenos Aires, destroying the front of the building. Jean Quarré was a militant anarcho-communist who was born in Paris in 1919. He was killed by firing squad in 1942 in Paris, two months after he was arrested by French authorities. Anarchism is still in existence today, though it has a lower profile than it once did.